On Sunday, ESPN’s Adrian Wojnarowski reported that Jason Kidd “will be among the serious coaching candidates” for the Los Angeles Lakers in the expected event that Luke Walton is fired after the season. The news comes amid a report from ESPN’s Marc Spears that the University of California is pursuing Kidd, a former Golden Bear, for the coaching vacancy opened by the firing of Wyking Jones. While Cal looking to a beloved former player who’s in the Hall of Fame and has NBA coaching experience makes sense, the Lakers’ reported interest in Kidd raises one pointed question. Why are the Lakers considering hiring Kidd? Aside from landing at least one of the summer’s free-agent whales, no decision looms larger for Lakers president of basketball operations Magic Johnson and his future with the team than hiring the next head coach. Making Kidd that choice would be an uninspired decision and most likely a disaster in waiting. The Lakers will miss the playoffs this season in the first year with LeBron James. There is no more room for error. Kidd’s coaching résumé includes a 183-190 record over 4 1/2 seasons with the Brooklyn Nets and Milwaukee Bucks. The greatest success he had in that time was turning around a 10-21 start in his debut with the Nets to finish the season 44-38. The result of that season was a failed power grab by Kidd that ended in an unusual trade to the Milwaukee Bucks. As was often the case during his playing career, Kidd left an organization with bridges thoroughly burned behind him. Kidd then spent 3 1/2 seasons on the Bucks sideline. He compiled a 139-152 record during that tenure before being unceremoniously fired midway through his fourth season. 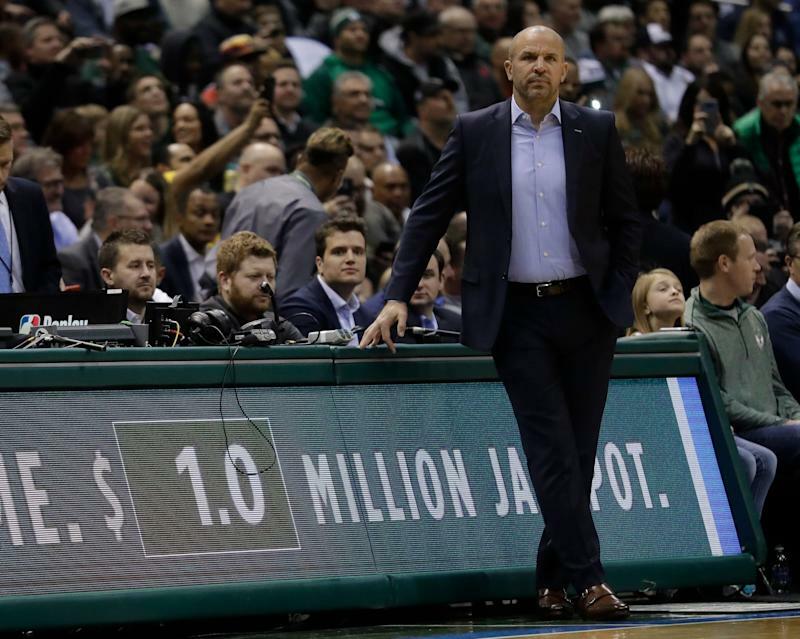 Kidd’s Bucks failed to win a playoff series as he was criticized for an old-school, hard-nosed approach that alienated players. Instead of accepting his part in the Bucks’ shortcomings, he often pointed to the youth of the team as the source of its problems. He was criticized for lack of innovation on the court and failed to advance the fortunes of a team with one of the best young cores in the NBA led by Giannis Antetokounmpo. The Bucks fired Kidd after a 23-22 start last season. Under first-year coach Mike Budenholzer, the Bucks are off to an NBA-best 54-19 start and are a legitimate threat to win the NBA title. Budenholzer’s revamped scheme built to spread the floor and surround Antetokounmpo with 3-point shooters has given Milwaukee’s young star room to grow as an MVP candidate. It looks a lot like the transformation that happened in Golden State when Steve Kerr helped turn a good team coached by Mark Jackson into a great one. It doesn’t reflect well on Kidd. Kidd lost his job leading a team full of young, developing talent, a situation not completely unlike what the Lakers are facing. So, again. Why would the Lakers consider handing Kidd the keys with the stakes in Los Angeles so high? Johnson needs to find a better answer.